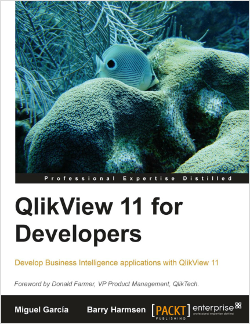 QlikView book/tutorial - QlikView 11 for Developers The Qlik Fix! If you enjoy reading my blog, you may be interested in the book that Mike García and I wrote. With over 500 pages of completely original content, QlikView 11 for Developers is aimed at both beginning and experienced QlikView developers. The book offers a completely practical and hands-on tutorial for learning both basic and advanced QlikView development concepts and best practices. Besides learning QlikView, this is also a perfect resource to review your knowledge for the QlikView 11 Developer Certification. The book follows a practical case, HighCloud Airlines. This case evolves throughout the book, developing your QlikView skills step by step while gradually building a complete QlikView solution. Time-saving techniques for making your QlikView development more efficient. 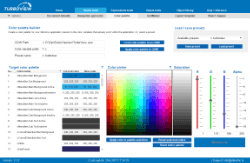 All example and solution files are Personal Edition enabled. 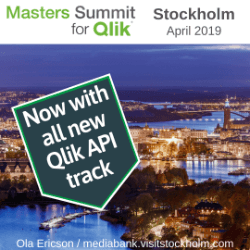 This means that anyone with the free, personal edition of QlikView can pick up the book and start learning how to develop QlikView applications. There is no need to invest in software beforehand.